Siri, how can I make you better? 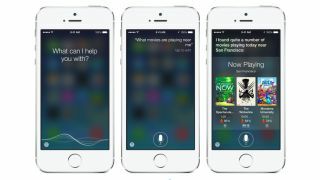 Siri is the best known digital personal assistant on the market, making its name with human-esque speech capabilities. Its biggest competitor, Google Now, may be lagging behind in the popularity stakes, but it's rapidly gaining ground and Apple needs to keep ahead. Google's release of the Experience launcher on the Nexus 5 has meant that Google Now features very heavily in Android. It is pushing to learn more about you and become far more relevant, and is doing a good job (if you invest in Google's app ecosystem). One of the biggest problems that faces the modern digital assistant is its need to be connected to the internet. Being used on many different devices, including Wi-Fi only versions of the iPad range, means Siri should be able to function without a web connection for some tasks. We use Siri to make appointments in our calendar and search our iDevice, things that should not require a connection to Apple's servers. Going abroad we take our gadgets, but we don't want to get hit with extortionate roaming charge so an offline function would be greatly beneficial. Why should we have to connect to the internet? Of course an offline mode would require more data to be stored on our iPhone, iPad or iPod, so there should also be an option to opt in/out of this feature. Anyone who has picked themselves up a 64GB or 128GB iDevice can probably fit offline mode in already, and for those with smaller storage option it might even provide incentive to buy larger storage devices in the future. Our favourite idea is to create downloadable packs so users can pick and choose what content and functions they want to have offline. Creating foreign packs so users can translate text and currency when we go away, or for when we're near our data limits, would also be useful. Siri has a relatively large language base; including four varieties of English, three Spanish and French, two German, Italian, and Mandarin. There is notably no support for Portuguese, an official language in nine countries totalling over 220 million native speakers. With Apple selling devices in over 120 countries, a lot more needs to be done. Millions of users are missing out. iOS7's dictation feature highlights how much work Apple needs to do. 15 countries can dictate to Siri; that's only around 12.5%. Increased language support would bring Siri to the masses. It would also allow for the creation of regional dictionaries, catering to 'slang' and variations in dialect throughout individual territories, rather than just the broad differences between UK, US and Australian English. Accurately recognising voice input, and then to deliver relevant responses is at the heart of Siri's operation. It is, as yet, unable to distinguish between two different voices. This means that we can use Siri on our device, but so can our friends and anybody that gets hold of our phone. Apple know how to calibrate to surroundings, so why not our voice? A simple set of phrases or paragraph of text read aloud should calibrate Siri to individual voice patterns. Multiple users would then be able to use Siri securely with parental controls introduced to protect and educate kids. Increased language support and voice recognition would allow for the creation of regional dictionaries. Analysing trends from different regions would allow Apple to manage and update these, making them more relevant. Increased language support would lead to the ability to translate between a greater number of languages. Translation software has been done before, and done well, but this requires both an active internet connection and having to manually search each phrase.